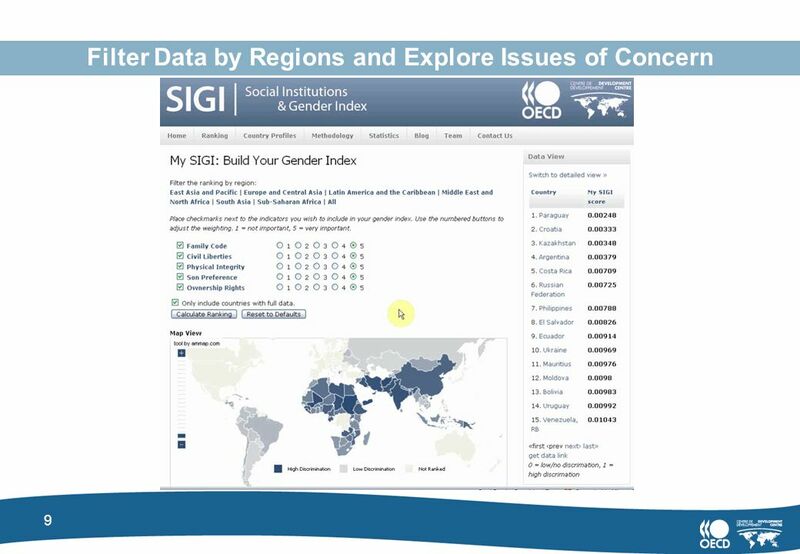 Build Your Own Gender Index my.genderindex.org Christopher Garroway, OECD Development Centre Seth Flaxman, Ecole Polytechnique Fédérale de Lausanne Gender. 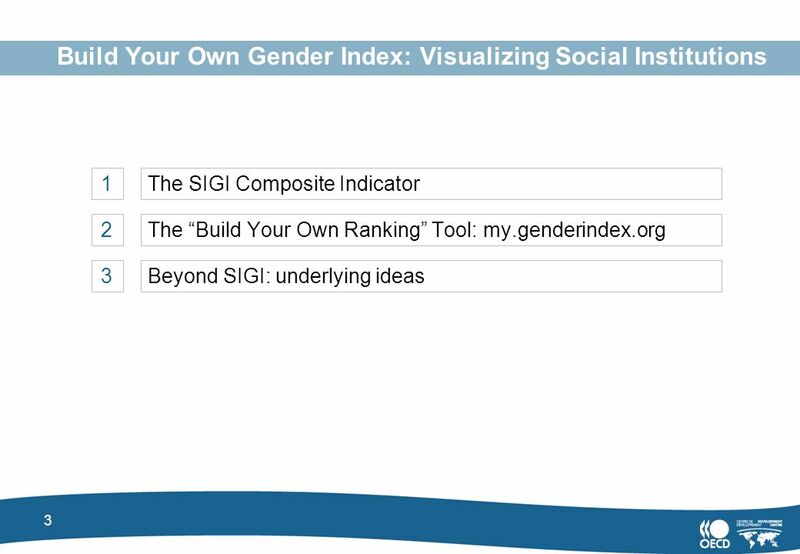 2 2 Build Your Own Gender Index: Visualizing Social Institutions Enabling users to make decisions for themselves about which factors they value makes the underlying data and resulting ranking more meaningful and personal to the user. 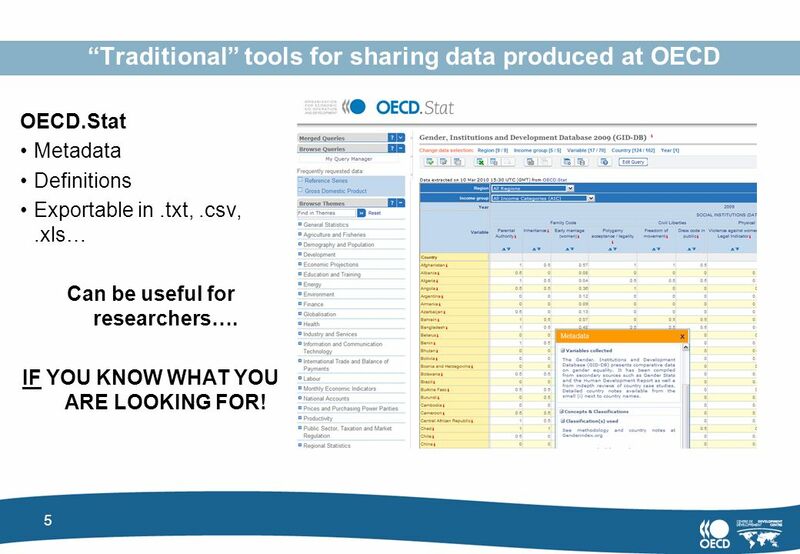 5 5 Traditional tools for sharing data produced at OECD OECD.Stat Metadata Definitions Exportable in.txt,.csv,.xls… Can be useful for researchers…. IF YOU KNOW WHAT YOU ARE LOOKING FOR! 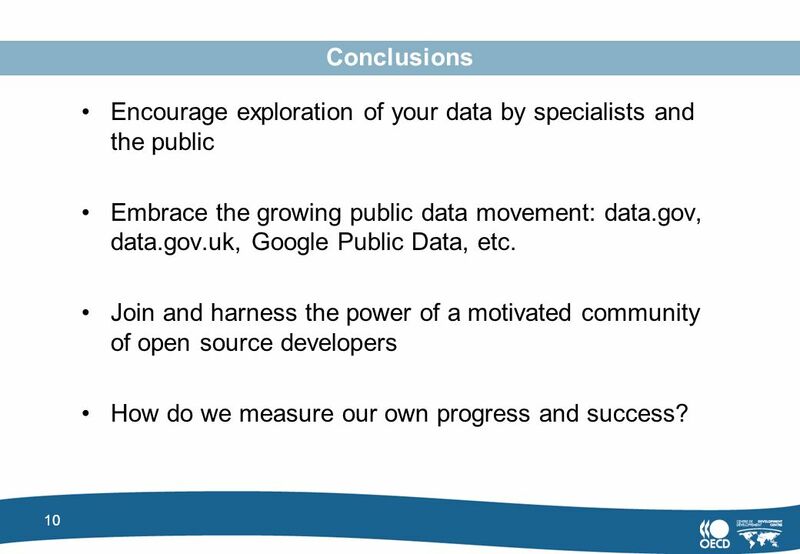 10 10 Conclusions Encourage exploration of your data by specialists and the public Embrace the growing public data movement: data.gov, data.gov.uk, Google Public Data, etc. Join and harness the power of a motivated community of open source developers How do we measure our own progress and success? 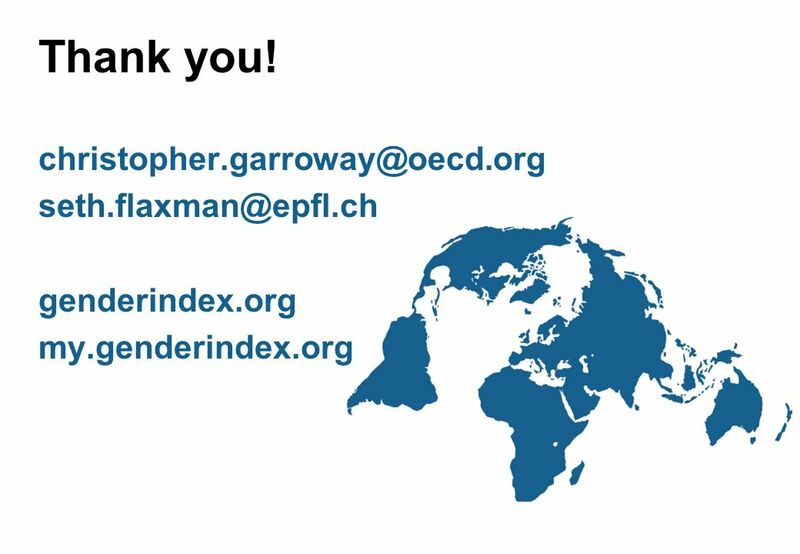 Download ppt "Build Your Own Gender Index my.genderindex.org Christopher Garroway, OECD Development Centre Seth Flaxman, Ecole Polytechnique Fédérale de Lausanne Gender." Sujit Mohanty, UNISDR The on-line HFA Monitor Walkthrough The Hyogo Framework for Action Progress Review and Reporting Framework for the Arab States Region. 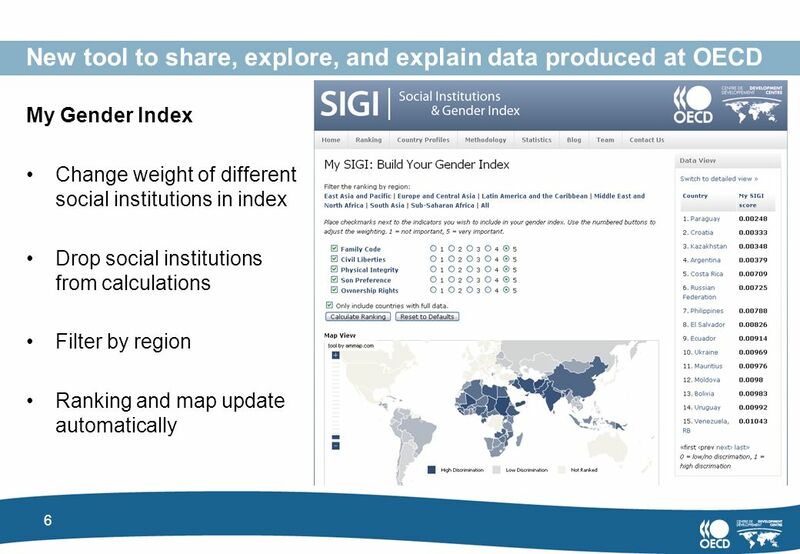 Taking Identities Into Account in Access Policies International trends and local innovations Gaële Goastellec, University of Lausanne, Switzerland OECD. 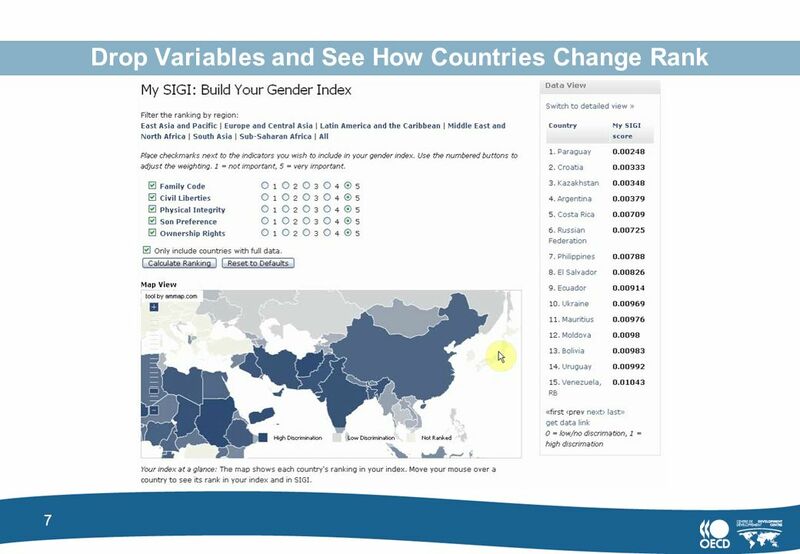 African Centre for Statistics United Nations Economic Commission for Africa African Experiences on Capacity Building for the Production and Use of Gender. Topical TrustRank: Using Topicality to Combat Web Spam Baoning Wu, Vinay Goel and Brian D. Davison Lehigh University, USA. 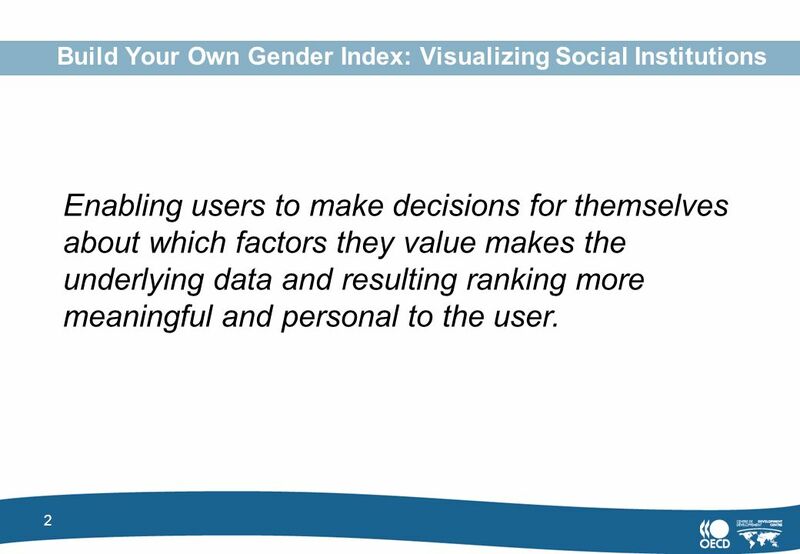 1 Integrating user environments and data liquidity to improve the research experience. 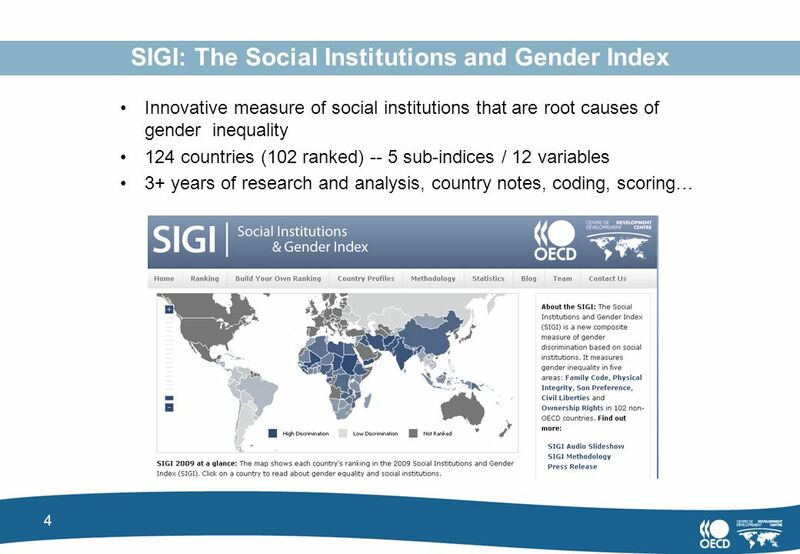 SOCIAL WATCH Gender Equity Index Karina Batthyány Social Science Research Team. Mid-Year Review 2010 Master Plan Update Lisa Schwarz, Senior Planner Andover, Massachusetts Good planning helps create communities of lasting value. Creating. INES Network on labour market, economic and social outcomes of learning UNSD Expert Group Meeting on International Economic and Social Classifications. 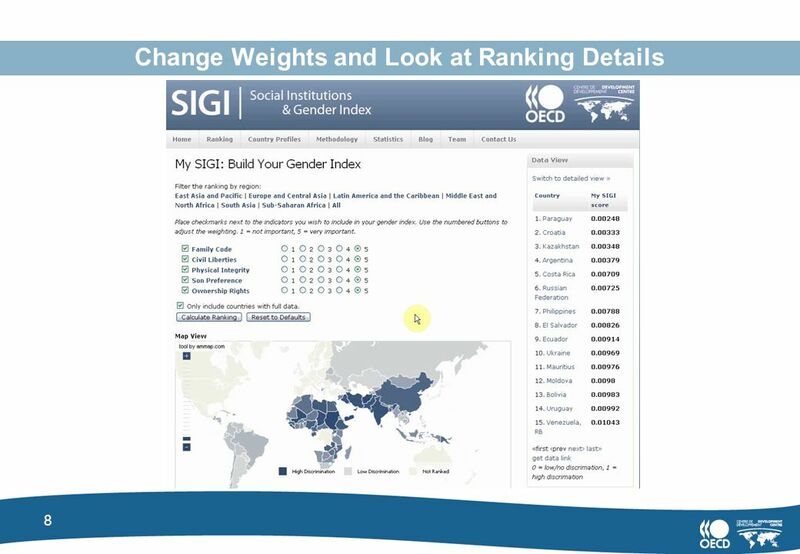 Assessing Capacity Building and Good Governance Indicators in Sub-Saharan Africa: The Implications for Poverty Reduction By Dr. Theodore J. Davis, Jr.
© OECD/IEA 2013 Monthly Gas Statistics JODI Gas Paris, 4-8 March, 2013 Energy Statistics Training Paris, 4-8 March, 2013 Agnieszka Koscielniak Monthly. 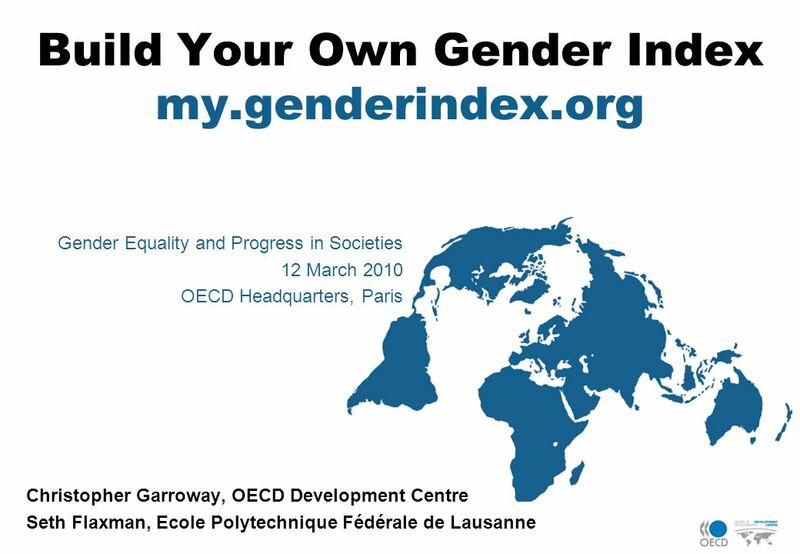 1 International Expert Workshop Measuring Gender Equality: Taking Stock and Looking Forward Paris, 24 th – 25 th May 2007 Johannes Jütting OECD Development.